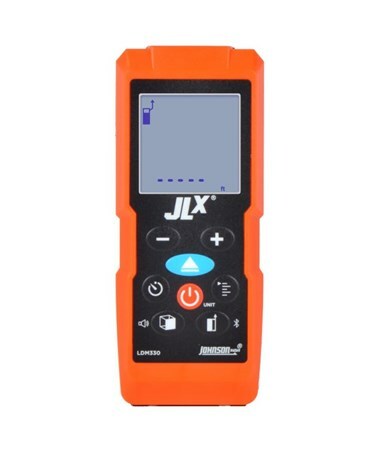 Featuring the Bluetooth equipped laser distance meter, the Johnson Level 330' Laser Distance Meter syncs with Johnson Measure-Up application to layout your job site in minutes. The integrated angle sensor can be used as a digital level or take 1-point indirect measurements. Ideal for estimating, drywall, paint, realtors, construction, restoration, carpentry, and roofing. 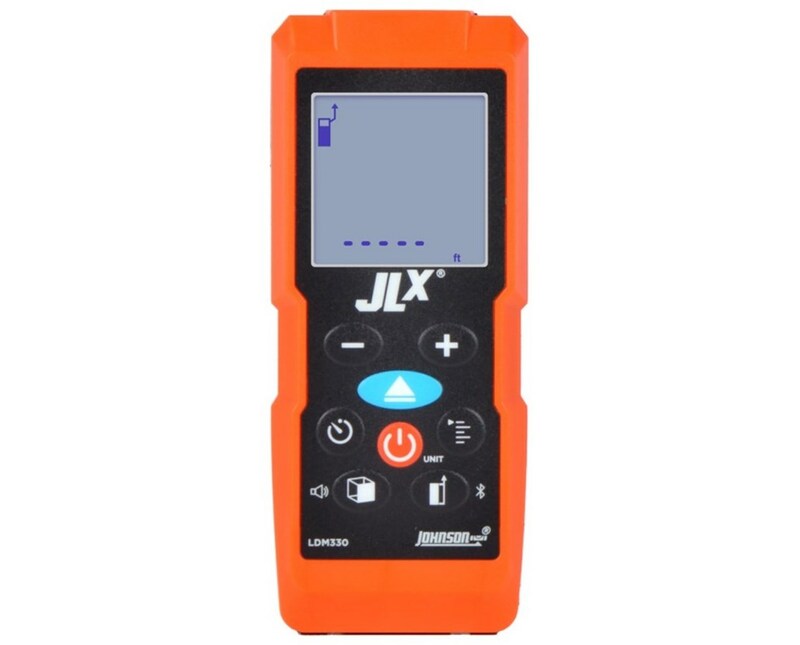 The Johnson Level 330' Laser Distance Meter features nine measurement modes including Length in single or continuous, Area/Square, Volume/Cube, 1-Point Pythagoras, 2-Point Pythagoras, 3-Point Pythagoras, 3-Point Partial Pythagoras, Digital Level and Stakeout. It has an accuracy of ±1/16" at 330 feet, ISO tested. It also comes with two inches at 330 feet working range. The backlit display makes it easier to read. It is dust and waterproof with an IP54 rating. 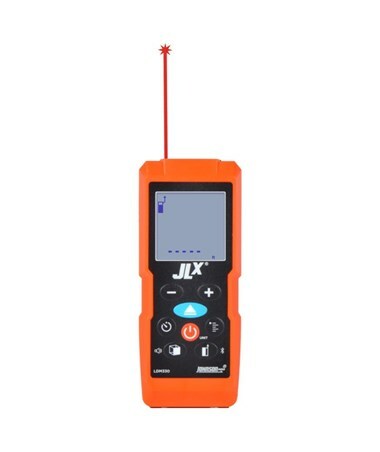 The Johnson Level 330' Laser Distance Meter includes two "AAA" alkaline batteries, wrist strap, soft-sided pouch and quick start guide. It comes with 2-year warranty. ISO tested to an accuracy of ±1/16 inch at 330 ft.